The man has power over everything except nature, and when the nature strikes, it leaves a permanent scar and vivid memories. In continuation to previous post that depicts the worse condition of victims of earthquake 2015 that shook Martung -sub tehsil of Shangla district. People in Shangla were digging through the rubble and were searching for the signs of life. Many of them awaited help which has been difficult to get. The drop in temperature and roads covered with snow makes it impossible to access small villages webbed around the district. The children and women spent nights under sky and freezing due to plunging temperature. Fear and panic have gripped the residents as people came out of their houses that were destroyed, crops and means of livelihood shattered. In such stances, HOPE- an NGO in Pakistan under the leadership of Dr. Mubina Agboatwalla- Child specialist in Karachi with its disaster management team made efforts to approach the people in need. Local CBO’s and authorized personals were taken into loop in order to reach the maximum number of affectees. The relief funds consisted of blankets that were distributed among 500 people to protect from cold. Mainly children were protected from cold and disease like pneumonia and bronchitis. As the means of livelihood and income generation were affected and winter had set in, the affectees now needed to wait for another 6 months before the next crop would be made. Hence, there was an urgent need of food otherwise malnutrition would set in. Thus, dry food in the form of lentils, rice, wheat, sugar, and oil in packets provided in one bag per family with one month of supply of dry ration was distributed among 300 people. The local Nazim of Martung also took part in the relief operation and was pleased with the efforts and disaster management of HOPE. The Pakistan health profile is characterized by the dual burden of communicable and non-communicable diseases. The figures are high mainly because of the existing health facilities in remote areas of the country are few or inaccessible. 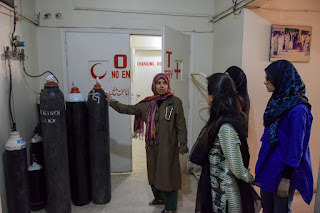 To contribute towards improving the health parameters, HOPE an NGO in Pakistan currently provides the underprivileged, especially women access to health care services through its hospitals under the leadership of Dr. Mubina Agboatwalla- Child specialist in Karachi and Chairperson of HOPE. 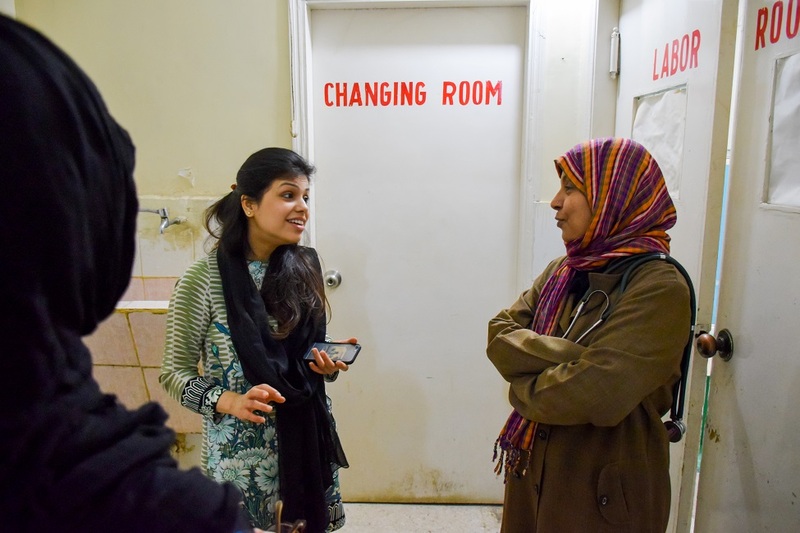 Her tireless efforts and struggle aim to provide quality of health care and improve the standard of living, especially for women and children living in urban and rural slums. 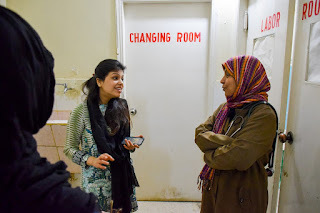 As a result of her endless struggle Dr. Mubina Agboatwalla- Child specialist in Karachi was able to plant HOPE’s root in UK with the aims of making her NGO a much more efficient organization. 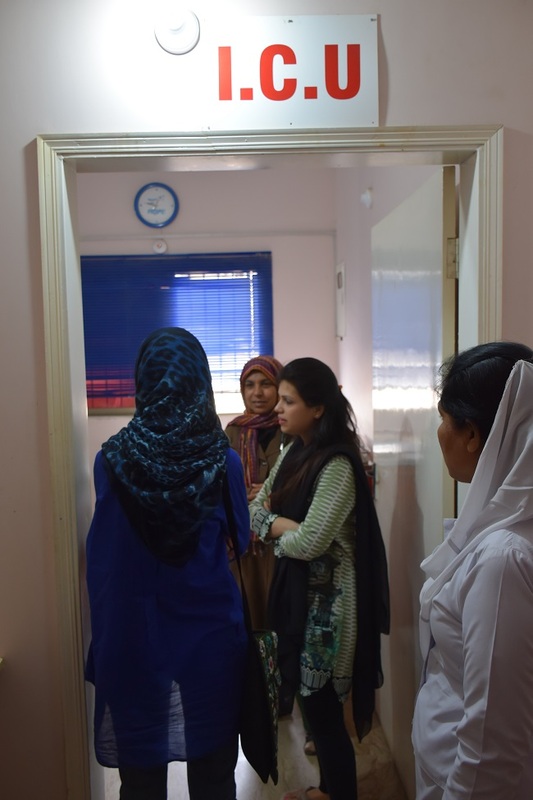 The first approach was done when HOPE UK’s member Maha Sheikh visited HOPE’s hospital at Zia colony. This hospital has been made entirely on charitable hearts donating medicines and medical equipments. While the remaining expenses of the hospital are handled by Dr. Mubina Agboatwalla in order to ensure that the hospital does not lose its animation. HOPE’s hospital representing HOPE an health NGO in Pakistan is full-fledged 50 bedded secondary hospital, maintaining a standard, while providing health care services at a very low cost and making it accessible for the poor masses. HOPE team has enthusiastically endeavored, within its means, to eradicate health issues faced by these poor people. This has also filled a very valid need of women and children of these deprived people who faced difficulty while availing proper health care in the past. The HOPE UK member was accompanied by hospital’s admin throughout the visit, where she observed hospital’s medical-surgical wards, and ongoing procedures which were appreciated by her. 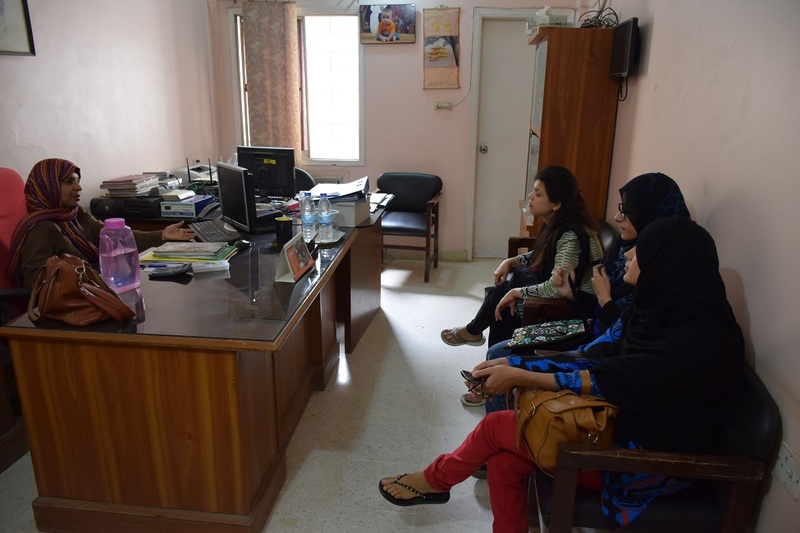 Subsequent to visit HOPE UK’s member was left impressed and showed a positive response which will help HOPE team to strengthen its work. There is more fruit in a rich man’s shampoo than in a poor man’s plate stated by Vishudh. This indicates the intensity of child hunger globally. On the other hand, children’s right has been violated by not educating them properly. HOPE an educational NGO in Pakistan protecting this right of the children with its large network of schools and educating thousand of children free of cost under the leadership of Dr. Mubina Agboatwalla- Child specialist in Karachi. Most of the school located in poor urban and rural slums. 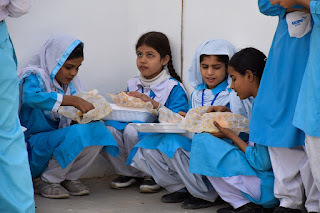 The children are malnourished and do not have enough to eat and don’t have access to fancy food like burger, pizza etc. To minimize the effect of child hunger and promoting children rights, Big Thick Burgers (BTB) a fast food brand owned by Ali Amanullah brother of Saad Amanullah khan helpers of HOPE an NGO in Pakistan initiated a deal to give benefit to the poor children who cannot avail such items for the sake of social welfare. 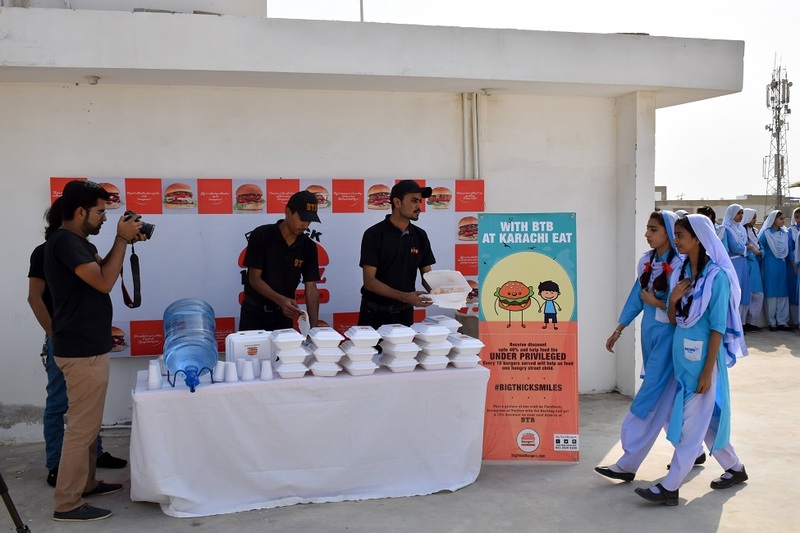 The brand initiated a package in which they are contributing a burger for children on sale of every 10 burgers by their outlet. 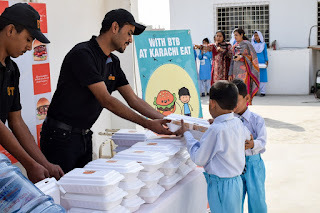 For this purpose BTB selected HOPE’s school Zia colony for its first activity. 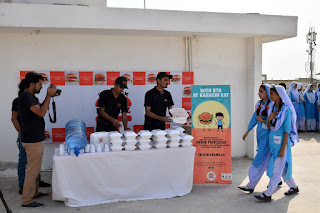 In which burgers were distributed to 60 students. Children had great time since this day was a treat for them as they got burger to eat. While enjoying their meal children gave great feedback regarding this activity. 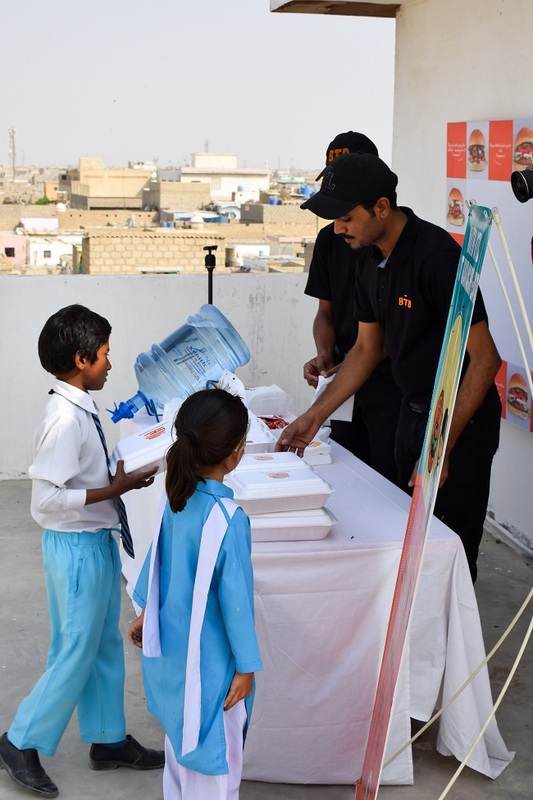 These activities held under the supervision of Dr. Mubina Agboatwalla- Child specialist in Karachi and chairperson of HOPE. 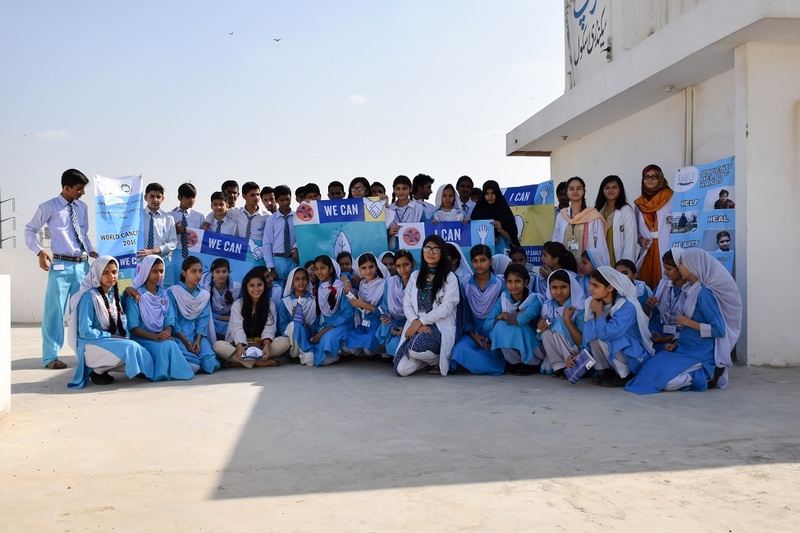 Hope an educational NGO in Pakistan aims to provide high quality and free of cost education to children in rural and urban setting. 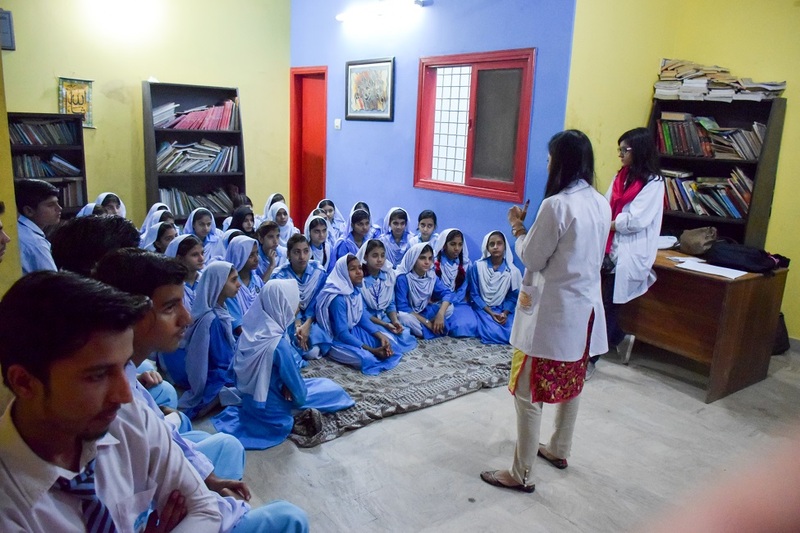 Providing education is one of the priority areas of HOPE an NGO in Pakistan, whereby HOPE is currently running five formal schools, out of which one is located at Zia Colony, educating around 800 students under the supervision of Dr. Mubina Agboatwalla -Child specialist at Karachi. Simultaneously, HOPE an educational NGO in Pakistan arrange and promotes activities which includes health education and awareness by following the strategy of teaching its younger ones, at the same time educating the society. Cancer is a leading cause of death worldwide and annually increasing the burden of morbidity and mortality rate. This implies urgent need to initiate campaigns that will rise awareness about the disease and develop practical strategies to address the cancer burden. Likewise, awareness session was conducted at HOPE’s school Zia colony in collaboration with medical students from Sindh Medical College. The purpose of this session was to spread awareness about cancer, keeping in line with World Cancer Day 2016, being celebrated globally on 4th of February. 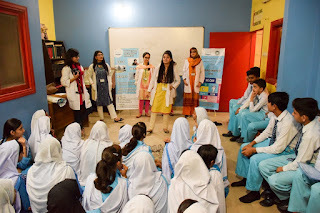 The session proved to be a quite fruitful one as students of secondary class participated in this session with great enthusiasm and end up by getting lots of knowledge regarding Cancer and its prevention. The students take oath to say no to substance abuse that will reduce prevalence of Cancer.